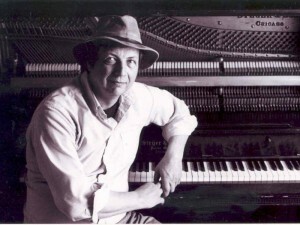 Come enjoy some ragtime and boogie-woogie music with Bob Milne on Sunday, January 27, at 3 p.m. at the historic Grace United Methodist Church. Bob is known for his electric performances as well as charismatic storytelling. Never heard of Bob? These interesting facts explain why his concert is a must-see! Bob is a scientific mystery.Bob is a completely self-taught pianist with the unusual ability to mentally “play” up to four symphonies in his head simultaneously. He has even been the subject of study by Penn State University neuroscientists for the last eight years as they try to figure out how he does this! In fact, his fans often refer to Bob as a “one-man orchestra” and celebrate his ability to make his piano sound like several instruments at once! Bob’s music genre has a fascinating history.First played in 1895, ragtime originates from jigs and march music played by African American bands. Throughout the 20thcentury, ragtime spread throughout the U.S. and became an American staple. The term is said to originate from the word “ragged,” in reference to ragtime’s syncopated melody (with unexpected and often off-beat rhythms). Bob has been a “musical ambassador” for the U.S. State Department.Considered by many to be the best ragtime piano player in the world, Bob brings a contagious energy to his playing. The Library of Congress has even deemed Bob as a “national treasure” and he has served as a “musical ambassador” for the U.S. State Department in Japan and Switzerland. You can learn from Bob himself.In addition to touring, Bob teaches music history at various universities including Florida Atlantic University. For more information about his classes, click here. Don’t miss this exciting performance! The concert is free (although the church accepts donations) and will take place in its beautiful large sanctuary (first come, first seated). Grace Methodist Church is located at 8 Carrera Street in historic downtown St. Augustine. If you have any questions, contact the church at 904-829-8272.